This Tuesday, the Anne Frank Center called for White House Press Secretary Sean Spicer to be fired, after he made statements that seemed to show a less-than-apt understanding of the horrors of the Holocaust. In a Facebook post this Tuesday, the Center’s executive director Steven Goldstein said Spicer “lack the integrity” to serve as press secretary. 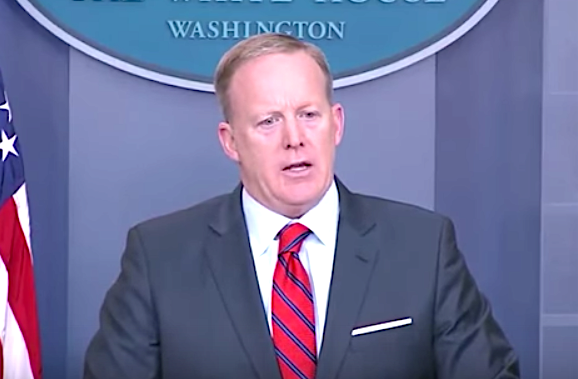 During a press briefing this Tuesday, Spicer mentioned Hitler in an analogy while discussing the recent chemical attack on civilians allegedly carried out by the Syrian government. “You had someone as despicable as Hitler, who didn’t even sink to using chemical weapons,” Spicer said during the briefing. Hitler used cyanide gas to kill millions of Jews and other prisoners during the Holocaust. Later in the briefing, Spicer tried to clarify his comments. “When it comes to Sarin gas, [Hitler] was not using the gas on his own people the same way that Assad is doing,” he said.